I’m still waiting on official confirmation, but the news doesn’t look good. A tweet from West LA Traffic Division Captain Brian Adams reports that the LAPD is working a fatal traffic collision at Temescal Canyon Road and PCH in Pacific Palisades. 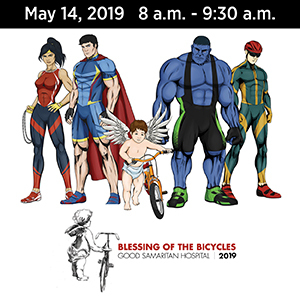 At the same time, I received an email from a reader who had just passed the intersection and saw a mountain bike with the rear wheel crushed, and a car stopped nearby with its windshield bashed in; the rider was nowhere to be seen. Of course, that does not necessarily mean the rider was killed. But it sounds like prayers or good thoughts are in order. 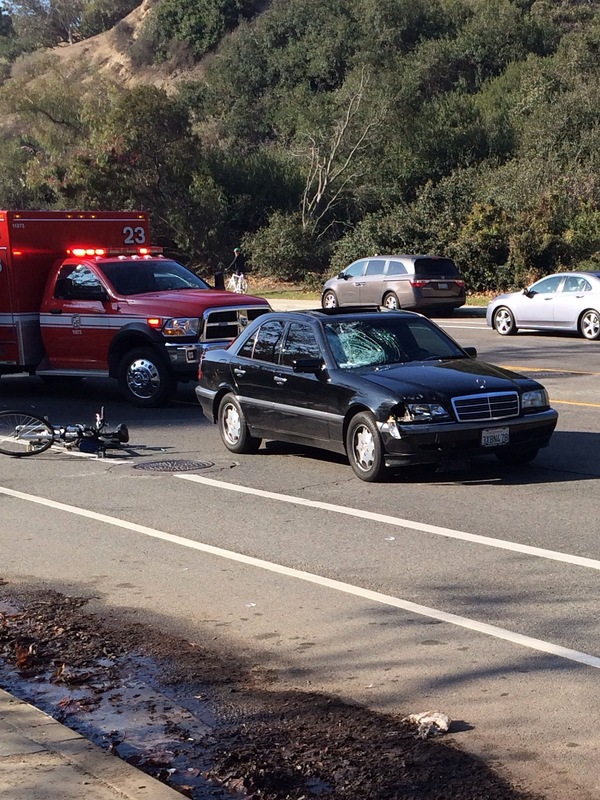 Update: According to KCBS-2, the collision occurred around 9:15 Sunday morning when a vehicle drifted into the bike lane on Temescal Canyon and hit the rider from behind. The victim was declared dead at a local hospital, later identified as St. John’s Health Center in Santa Monica; another report says he was taken to UCLA Medical Center in Westwood. And yes, the driver remained at the scene. A comment from Lois below indicates the collision occurred about a quarter mile above PCH on the eastbound, uphill lane. Having ridden through there many times myself, that is one of the few bike lanes where I don’t feel comfortable, as many motorists drive far above the speed limit and drift from their lanes on the many curves, both up and downhill. 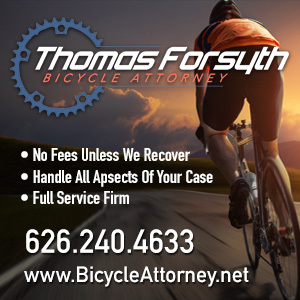 This is the 84th bicycling fatality in Southern California this year, and the 36th in Los Angeles County. 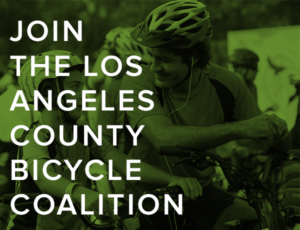 It is also the 16th cycling death in the City of Los Angeles since the first of the year — over three times the number of bicycling fatalities last year. Update 2: Pacific Palisades Patch reports the victim, who has not been publicly identified, was approximately 25 to 27 years old, and was hit hard enough to throw his body up to 20 feet through the air. One commenter on the site said she was told by an officer at the scene that the driver had been drinking — at 9:15 am — while the writer of the Patch piece says the driver himself suggested he was texting when the collision occurred. Update 3: Police officials have identified the victim at 29-year old Australian tourist James Rapley from Victoria; the driver was 19-year old Mohammed Kadri of Santa Monica. There’s something horribly wrong when someone can’t visit this country without returning home in a coffin. My deepest sympathy and prayers for James Rapley and his family. Update 4: Australian publication The Age confirms a comment from a friend of the victim that Rapley was just passing through Los Angeles when he was killed. The paper quotes his father as saying Rapley, a software developer for Groupon in Chicago, had rented a bike during an extended layover on a flight back home to Melbourne for the holidays. An experienced rider, he may have enjoyed the challenge of tackling the steep climb, even on a rental bike. His father also confirms the report that police said the underage driver had been drinking at that early hour. “He was the sort of kid everyone hopes to have as a son,” John Rapley said. No word yet on any charges the driver may face. Let’s hope the authorities take this one seriously — especially if reports that he was texting as well turn out to be true. I can’t overstate the tragedy that someone just passing through our city is murdered by someone too young to legally drink, let alone be on the road in that condition. Update 4: The Santa Monica Mirror reports Kadri was arrested on an unspecified felony charge at 10:50 am, and released on $50,000 bail Sunday night — which seems low under the circumstances. He is scheduled to appear in Downtown Municipal Court on January 16th; we should be able to learn what charges he’ll face then. Thanks to John McBrearty for the heads-up. For what it’s worth, the bike accident was not at PCH it was about a quarter mile up on Temescal on right side going away from the ocean. I was in the left lane and had just driven past the cyclist when he was hit by the Mercedes. From my side mirror, I saw the cycle flipping about 10 ft in the air — not 20 as some reported. I did not hear brakes screeching. The cyclist was exactly where he was supposed to be — in the bike lane, riding with traffic. He was not wearing a helmet. The car was going within speed limit of 40-45 mph. The cyclist landed in essentially a face plant and was bleeding heavily from his head. He never was conscious. The driver stayed on the scene and seemed visibly shaken. It took the fire department almost 10 minutes to arrive on scene. It was a horrible accident. stories like these are tragic, sad, and preventable. but when you see the picture from the scene, it is just scary for anyone who has been on a bike. RIP of the rider and thoughts with the family who have lost too much.. this did not have to happen. Capt. Brian Thomas’ tweet suggests the cyclist was doing something illegal. Is there anything more to that? If not, that tweet was inappropriate. I’ll give him a pass on this one. As I read the tweet, sounds like it was written before he had the details, and was simply a general reaction to yet another needless death. And I can’t argue with what he said. On the other hand, if he was talking specifically about this crash, then yes, it would be inappropriate. As a friend of James’ (the cyclist who died), I find Capt. Brian Thomas’ tweet highly inappropriate. James was a VERY experienced cyclist and actually moved to Chicago earlier this year for work. He has definitely become accustomed to US road laws and I would be incredibly surprised if he wasn’t “obeying rules of the road”. This is an absolute tragedy – James was on his way back to Australia for Christmas and unfortunately couldn’t get a same day connecting flight, so he decided to hire a bike and spend the day riding around LA. 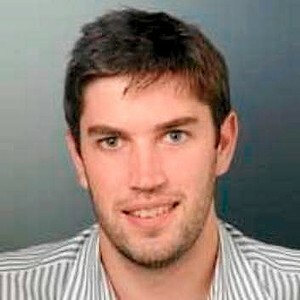 My deepest sympathy for your loss, Aussie. There is simply no excuse or rational reason for why this could have happened. I am so sorry for your loss, I drove by as well, James didn’t do anything wrong unless riding a bike is wrong, the car killed him and the CAR hit him from BEHIND…what else do you need to know? RIP James Rapley. Well considering he was heading uphill you can rule out speed on the bicyclist part and if it is found that the 19yr old was txt’ing it should be nothing less then vehicular manslaughter. If the investigation confirms that Mohammed Kadri was indeed texting whilst driving and this resulted in him hitting (and killing) James – is this not prosecuted as manslaughter in the US? It certainly is without question in Australia. 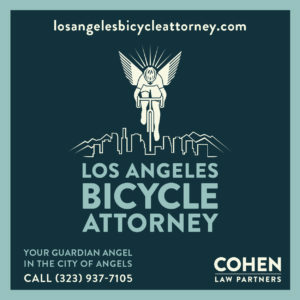 Let’s also not forget that this is the SECOND time in about 2 weeks that someone has been hit by a car in Los Angeles while legally biking in the BIKE LANE. Both times the biker died essentially instantly. Both events were in the same range of mountains (this one on the western side towards Malibu, the other on the eastern side towards Calabasas). Both times the driver apparently was distracted by technology. The previous driver was even a Sheriff’s deputy — let’s remember that even “the law” is not immune to limitations of being human and only being able to fully concentrate on one thing at a time. Condolences to the family, yet again. Why is it I feel safer taking up a lane on Old Topanga vs. being in a bike line where the “speed limit” for cars is 40? Why we need separated bike lanes… Paint is not sufficient for separation when speeds as this high. As if a 6″ high curb separation would deflect a 4000-6000 lb auto at 40 mph!? It would not. You’d need 3-4 foot tall, concrete or heavy-duty guard rails, similar to center median of a freeway. I do believe a 3 or 4 foot planted barrier (like Vancouver or The Netherlands) could have prevented this. I think any kind of physical barrier separation could have slowed down the car and reduced the impact of the collision or have discouraged the reckless behavior that caused this in the first place. Nowhere do I define separated bike lane as separated by 6 inch curb but sure go on hating, Tom. Boy do I agree with this comment. People are celebrating increased “bike lanes” and sharrows and bike signs and a 3 foot passing law BUT all this DOES NOT make cyclists any safer. I would disagree slightly. Those all make cyclists safer; they do not make us safe. Even as they just added a new lane by my house , I’m still a bit scared. Why not add botts dots to at least get the driver’s attention. A cheap measure that would make riding a little safer. Good point, the dots are far more effective for warning motorists. More expensive but well worth it. Unfortunately some cyclists freak out regarding the dots, and there may be a lot of misconceptions concerning bike safety. If you simply relax and don’t tense up when crossing over, the smooth rounded dots are a non-issue for cyclists. Let’s see, drunk possibly texting driver is a minor which means the BAC% threshold is 0.001. That would make this a case of murder in TX since DUI(minor) is a felony in CA and deaths that happen as result of a felony are chargeable as Capital Murder. Of course this almost never happens in TX unless the driver is non-white and takes out a bigwig or most of an extended family. The only time I know of from personal recollection was a Hispanic driver with 7 previous DUIs running into an SUV with most of the female side of a family and killing 4 of them (I think it was 4 of the 6, might have been all 6). That happened a few miles from where I live. I’m told that a black driver with multiple DUIs killed a bigwig county politician and got the death penalty but that was before I moved to TX and I can’t find anything online about it. I read “underage driver” and did a doubletake before I realized you’re applying “underage” to the 19-year-old driver’s alleged consumption of alcohol. Yeah, I probably could have phrased that a little better. Haven’t kept up with Facebook lately — as if I ever do — but did I see you’re new law-enforcement degree is going to be put to use working with abandoned animals? Mohammed Kadri plowed into two parked cars at 4 am in October, in Santa Monica, completely drunk. Totaled both cars. Uninsured. James was a friend from university and the most talented person I ever met – top at academic, sport, debating, leadership, acting – better than me in every field, but still very humble. I was wondering how he ended up using all his talent so Googled him and found this. So tragic, I am still trying to process this. So sorry for your loss, Richard. Please accept my heartfelt sympathy. Thank you for taking the time to write about this. I will come out and check the spot James died one day. Hopefully the ghost bike is still there. In Australia wearing a helmet when cycling is mandatory. Do you think James might have survived if wearing a helmet? I understand from the witness account in the comments he died from head injuries. Honestly, no. Judging from the reports I’ve heard, I doubt the wreck was survivable, with or without a helmet. It might have improved his chances somewhat, but the force of impact was probably too great. One of the common misperceptions about bike helmets, and the great flaw in the Australian law, is the amount of protection they provide. Bike helmets are only designed to survive an impact up to 12.5 mph, and they do nothing to prevent against concussion or rotational injuries. They’re great in relatively slow speed falls; mine may have saved my life in such a situation a few years back. But they simply aren’t designed to protect against motor vehicles. If it’s any comfort, I can assure you that James has not been forgotten here in LA, even though he was just a visitor to our city. Work is under way to establish a permanent memorial in his honor, and we’re working to turn that bike lane into a protected lane to prevent something similar from ever happening again. Meanwhile, his killer has been sentenced to significant community service, rather than jail time, at the request of James’ family. Unfortunately this man, Mr Kadri who killed James is a reckless person and has continued to drive around here and caused more accidents. It’s completely shocking to me. We found out about this because he crashed into our parked car one night completely drunk and out of his mind. Uninsured of course. Totaled our and another person’s car, and seemingly incapable of remorse and insight. As we inquired about him we eventually learned about all that he had done. I am so very sorry for this tragedy.